Gruen Associates worked with Claremont University Consortium and two of Claremont College’s seven colleges—Claremont McKenna and Pitzer—in developing master site plans for athletic and recreational fields, support facilities and on-site parking facilities on 79.5 acres of land that was formerly a sand and gravel quarry at Foothill and Claremont boulevards. 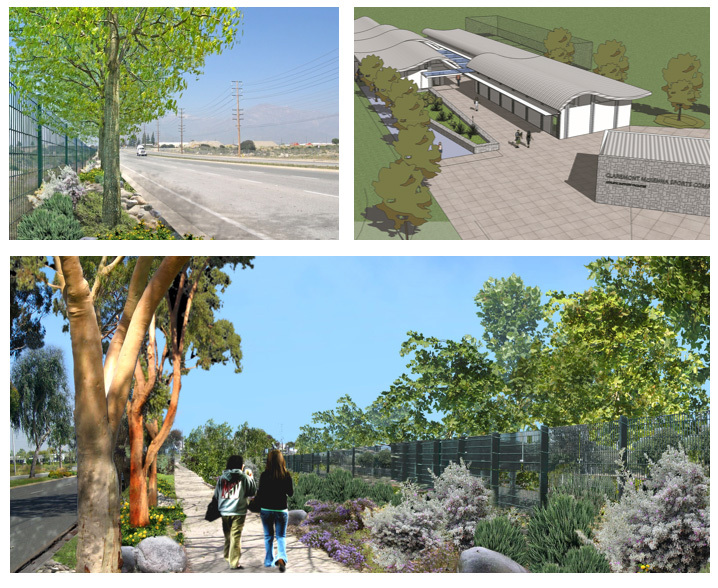 The proposed site landscape combines contemporary minimalist and linear massing with curvilinear and naturalistic landscape elements reflecting the Colleges’ and the City of Upland’s existing landscape theme and material. 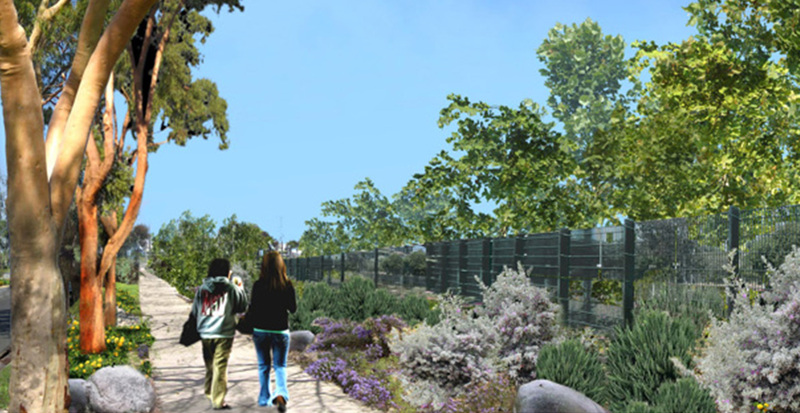 Keeping sustainability in mind, areas will include low maintenance drought-tolerant plants with special consideration to incorporate native plants indigenous to the Foothill region. 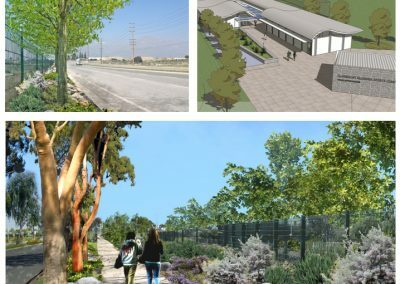 Conceptual streetscape plans for Foothill and Claremont boulevards, Monte Vista Avenue and Arrow Route extended the pedestrian connections into the site and to prominent walkways to be shaded with a select variety of canopy trees.